Brown Sugar Bourbon Caramel Corn is THE snack you need to have for all of your baseball watching this summer. 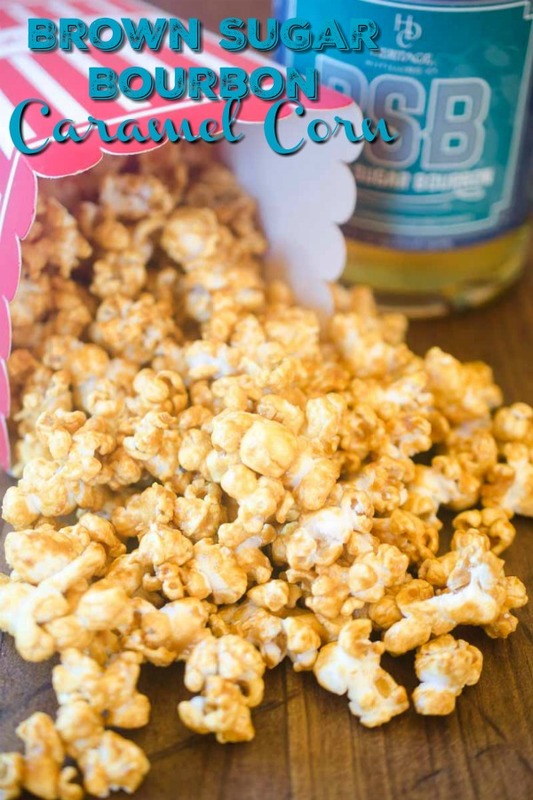 Popcorn coated in a sweet caramel made with Brown Sugar Bourbon is an addicting snack! This post is sponsored by Heritage Distilling Company. We are grateful for our sponsors as they allow us to bring you delicious free content every week. As always, all opinions are my own. As we approach the All-Star game, things are getting pretty exciting around here. Our Mariners (who I’m not affiliated with an anyway, I’m just a fan) are playing some amazing baseball. We are watching every game. Our boys are too. And it’s not just that our team is doing well, we are just a baseball family. We’ve gone down to Spring Training in Peoria, AZ several times to watch games and get out of the rainy weather. Of course we’ve gone to Safeco and the last two years, my eldest son has played little league. Like I said, we are a baseball family. And with baseball comes food right? I mean there isn’t much better than hanging out at the ballpark with a hot dog, a beer, and here in Seattle, garlic fries. 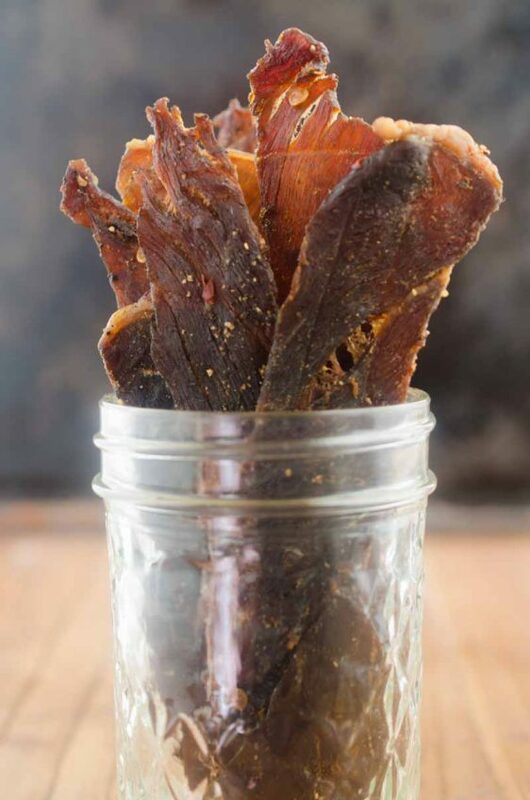 But what else pops into your mind when thinking of baseball snacks? Caramel Corn of course. 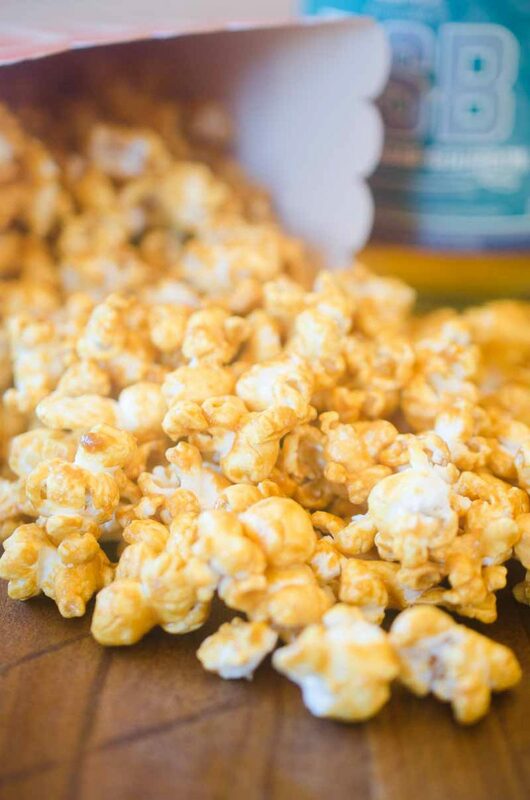 What’s not to love about caramel corn? It’s sweet and salty. It’s crunchy. And you can pop handfuls in your mouth at a time. 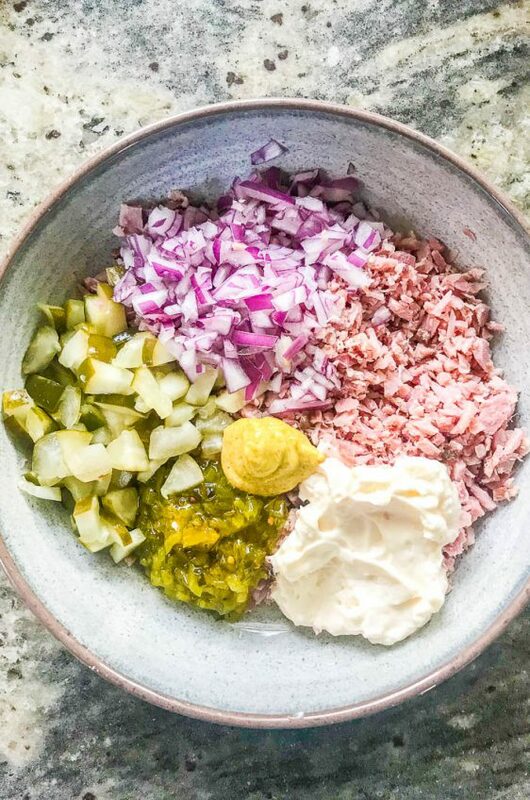 It’s basically the perfect snack. For this caramel corn recipe, I decided to do a twist on a classic. Instead of making classic caramel corn with a homemade caramel sauce. This corn is coated in a BOURBON CARAMEL SAUCE. And not just any bourbon. I use Heritage Distilling Company’s Brown Sugar Bourbon. 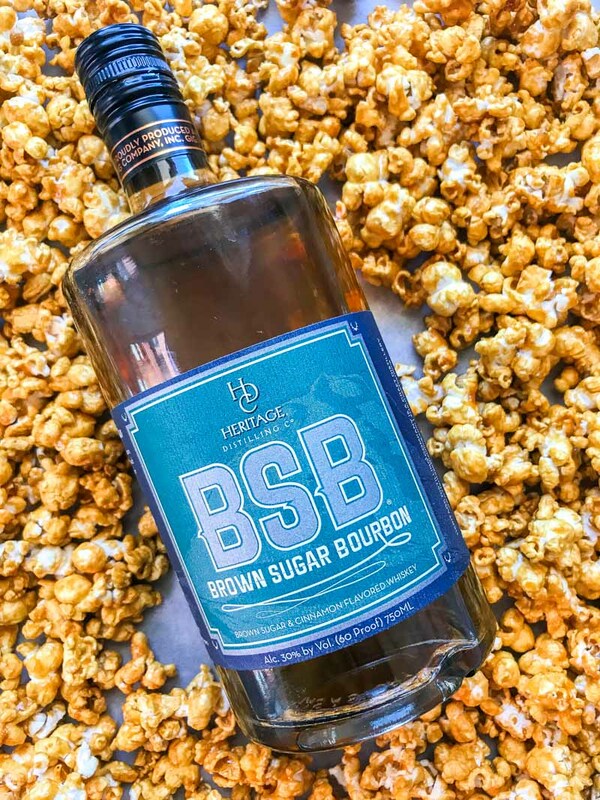 Heritage Distilling Company’s Brown Sugar Bourbon has won the Best of Category – Flavored Whiskey from the American Distilling Institute 2016, the Gold Medal – Flavored Whiskey from the American Distilling Institute 2016 and the Gold Medal Seattle International Spirits Awards 2016. And rightfully so, it is delicious. The natural brown sugar and cinnamon added give it a sweetness that make it perfect on it’s own, as a splash in hot tea or in this Brown Sugar Bourbon Caramel Corn. 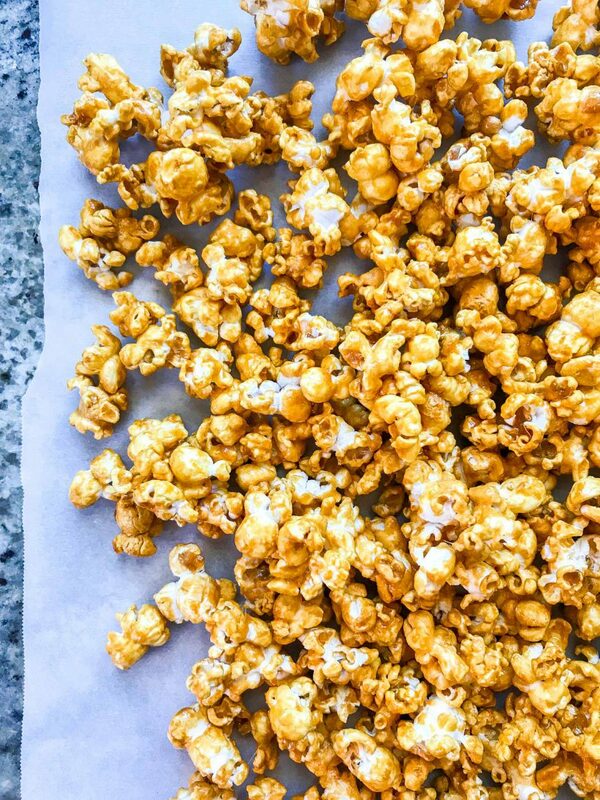 How do you make homemade caramel corn? It’s actually pretty easy. I shied away from it for a long time because I thought it would be hard. But it’s not. Like at all. You simply bring butter, brown sugar, corn syrup, vanilla and, in this case Brown Sugar Bourbon, to a boil. Then you let it boil undisturbed for 5 minutes. LEAVE IT ALONE. Trust me. 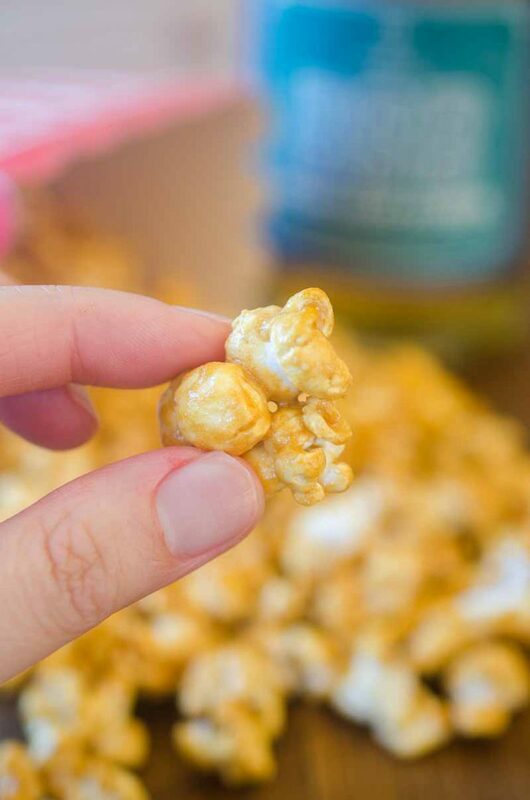 The next tip for making homemade caramel corn is: baking soda. Baking soda is going to cause the caramel mixture to bubble a bit. This aerates the caramel, which gives it that smooth texture you’re used to with caramel corn. Finally, I have seen some recipes that simply coat the corn and wait for it to harden. Instead, for this recipe, the corn is cooked at low heat for an hour. This caramelized the corn even more and I think it’s totally worth the wait. Speaking of waiting, I know its only the middle of summer but I cannot wait to do all kinds of fall baking with the Brown Sugar Bourbon. 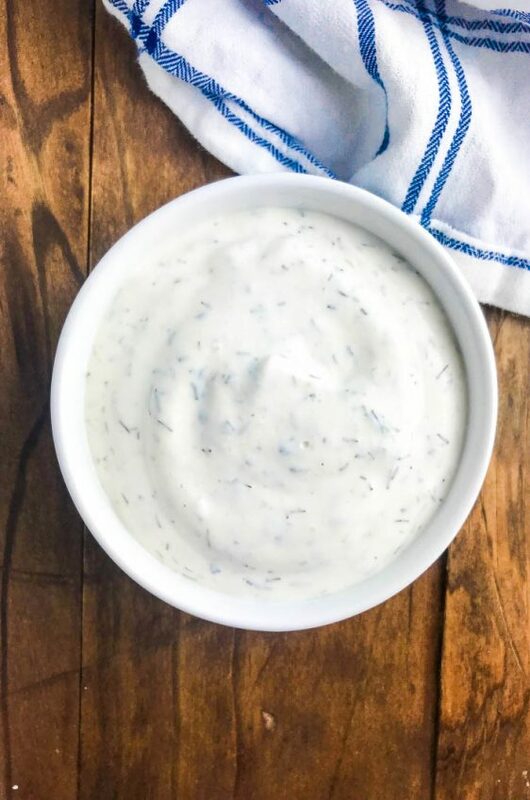 I mean, guys, just imagine it with apples or pumpkin. 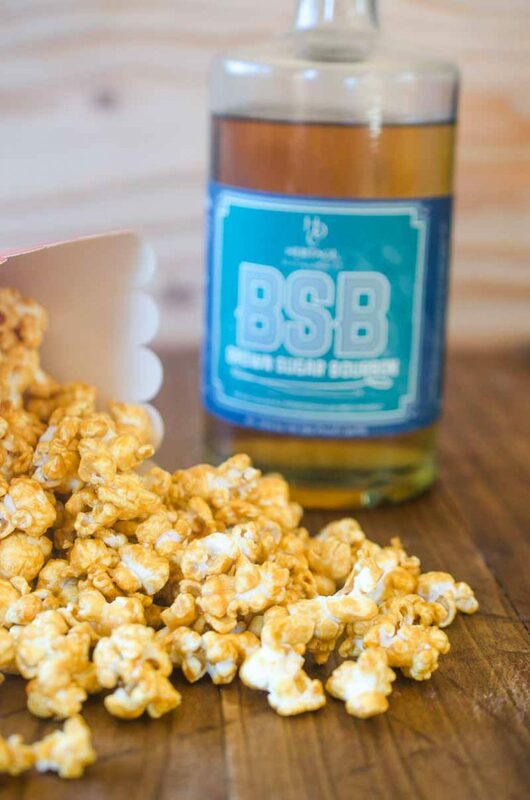 But in the meantime, let’s enjoy summer, baseball and of course this Brown Sugar Bourbon Caramel Corn! Oh and one last thing: Go M’s! Preheat oven to 250 degrees. Line a 12 x 17inch baking sheet with parchment paper. Heat butter, brown sugar, corn syrup, bourbon and vanilla together in a large pot over medium heat. Bring to a boil. Reduce heat and leave untouched for 5 minutes. Remove caramel from heat. Stir in baking soda. Mixture will foam. Sprinkle salt over popcorn. Pour caramel mixture over popcorn. Mix until all popcorn is coated. Spread caramel corn on prepared baking sheet. Bake for 1 hour, stirring every 15 minutes. Remove from oven, cool and serve. Best when eaten the first day but will keep for a couple of days in an airtight container. OMG I am obsessed with this!!! Seriously dangerous….. I really love this idea! Definitely adding this to my must-make list! 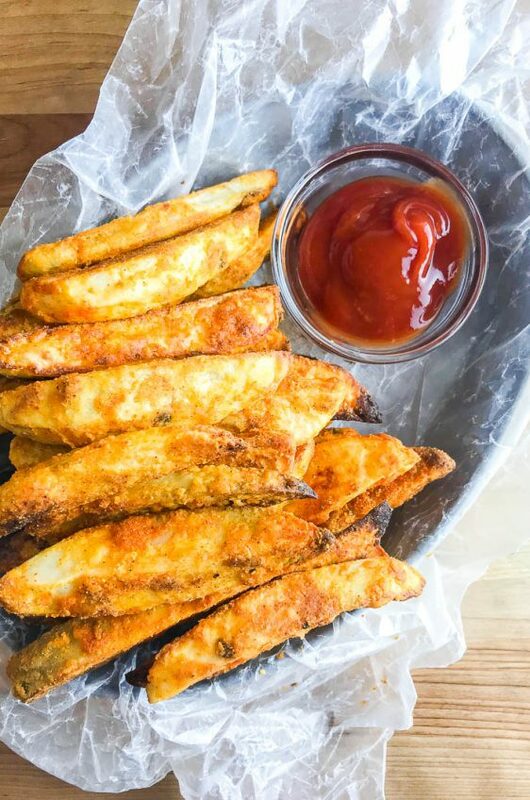 This is a great snack option! Love the flavors! 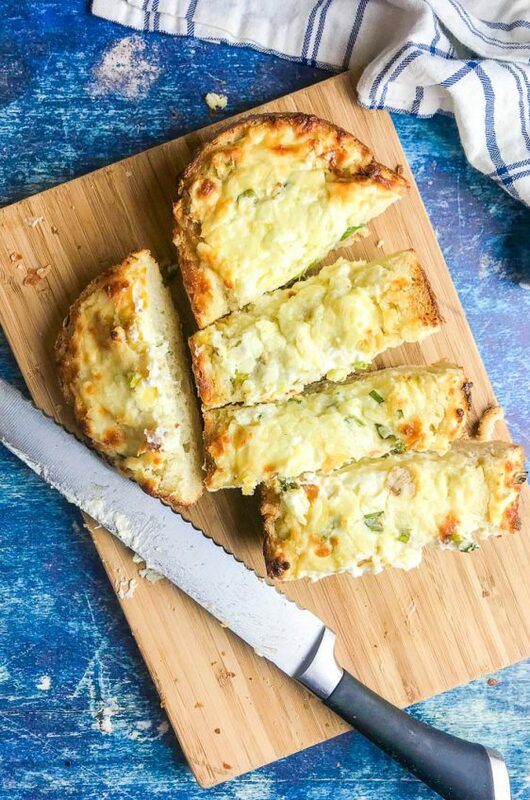 This is a perfect afternoon tea snack. I love a good caramel corn! 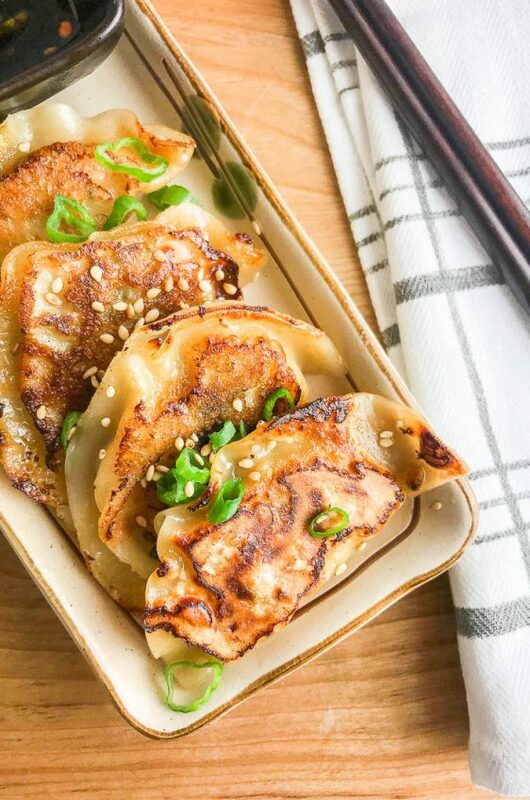 I made these for movie night and they were a huge hit! !